Note:- Inventory Organization will be represented with the Organization_id column. We many give some code and name to the Inventory. 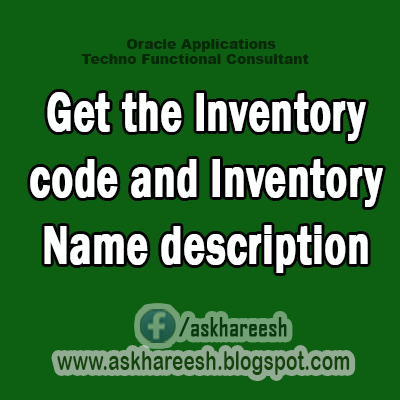 With the following Query we can know the Code and Name details of all the Inventories in the Organization. SELECT distinct SUBSTR(loc.location_code, 1, 4) "Inventory Code"